Welcome to the Senior's page! 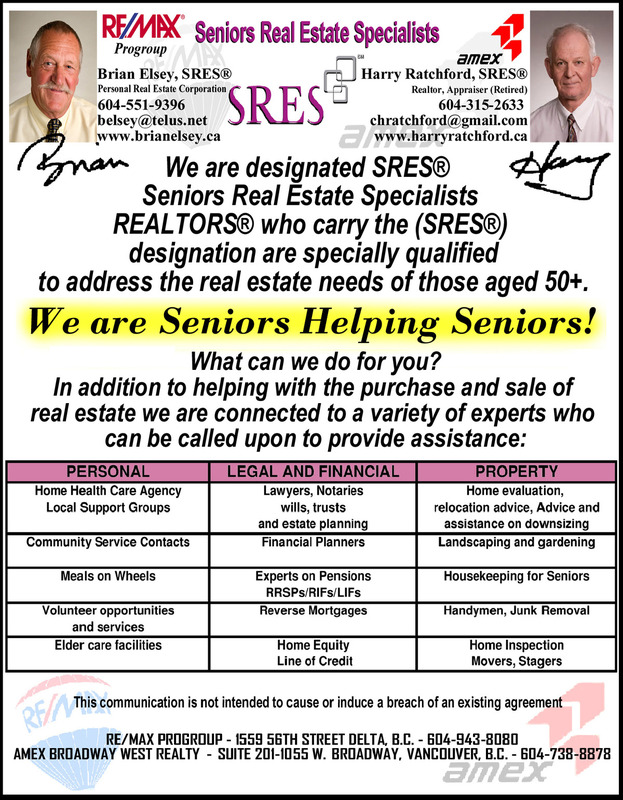 "Seniors Real Estate Specialists® or SRES® designees are REALTORS® qualified to address the needs of home buyers and sellers age 50+. By earning the SRES® Designation, we have demonstrated the necessary knowledge and expertise to counsel clients age 50+ through major financial and lifestyle transitions involved in relocating, refinancing, or selling the family home. We have received special training, get regular updates, and are prepared to offer the options and information needed in making life changing decisions." We can help clients integrate the disposition of real property into estate plans. We can suggest housing alternatives, including ones that may allow an aging parent to remain in the home instead of selling it. We know how a home can be adapted for safety, comfort, and aging in place. We understand the emotional demands sale can make on a senior, and try to minimize them. We tailor the marketing of a home to the needs of an older client. We can interact easily with all generations, including seniors, adult children and caregivers. We are knowledgeable about local senior housing options and elder support services. We have a wide network of other senior focused professionals who can assist in legal counseling tax counseling, financial and estate planning, and other aspects of the sale and move. Let us know how we can assist you in the next phase of your life! Click on the titles noted below for more information.